the other names are reduplicated forms of Proto Polynesian: *Pala	"a species of tree fern" . The names by which this tree is known are quite a puzzle. They do seem to be derived from the Proto Polynesian names for the beach hibiscus, *fau, and a species of fern, *pala, both of which are represented in the New Zealand flora by other plants whose similarity to their Polynesian counterparts is easily discerned. 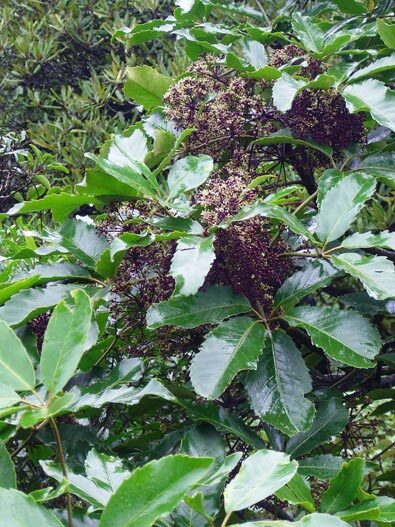 It is much harder, however, to see how Pseudopanax arboreus fits into this picture, and yet there must have been something about this tree that inspired an early NZ Polynesian taxonomist to confer one or other of these names on it. 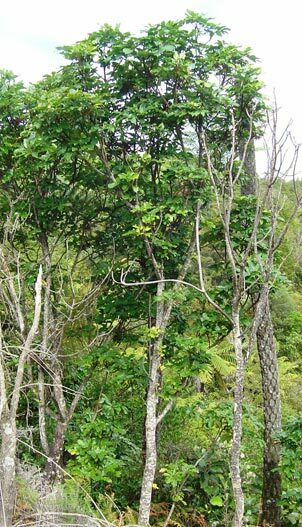 References and further reading: See linked pages and general works on NZ trees in the bibliography. 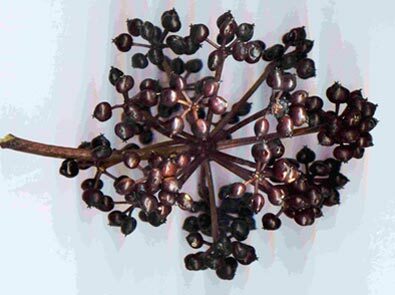 There is also a page devoted to this tree on the NZ Plant Conservation Network's web site. 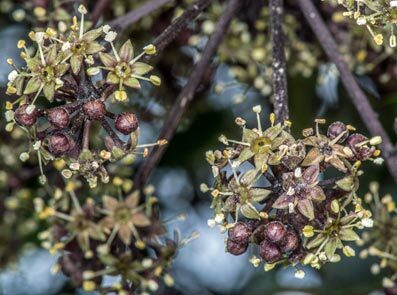 Photographs: Photographs by kind permission of Wayne Bennett and Jeremy Rolfe, NZ Plant Conservation Network.